I am qualified and certified in Placenta Encapsulation and am also a Phlebotomist. I am the FIRST Registered and approved Placenta Encapsulation Specialist by Environmental Health. I am verified by Environmental Health for exceeding requirements for health and safety legislation. I am trained in Infection Control and Blood Borne Pathogens and hold a certificate in Food Hygiene with City & Guilds in Manufacturing, Food Safety and Hygiene Certificate for Catering with City & Guilds as well as holding a certificate in Hazard Analysis and Critical Control Points (HACCP). Placenta is the Latin word for cake. The placenta is classed as an organ, and an amazing one at that. It is not like any other organ in the human body. The placenta is flat and circular and on average weighs about one pound. It is roughly 22 cm in length and the colour varies in dark maroon shades with tinges of blue. 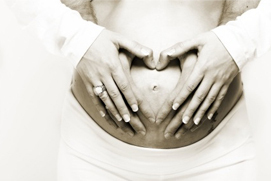 The placenta attaches to the inside of your womb during pregnancy. There are two sides to the placenta, one is known as the maternal side and one the fraternal side, which is the baby side. This side is smooth and the umbilical cord usually emerges from the centre. The mothers side is the side that attaches to the wall of her uterus. After the placenta has been birthed this side looks rather knobbly. Your placenta is an amazing organ, and I advise all mother to keep their placenta after birth, just incase you decide to benefit from your placenta pills. Your placenta capsules can benefit you by balancing your hormones and your postpartum mood, promote lactation thus increasing your milk supply, reducing postpartum bleeding, increases your bond with your baby, , increases energy and helps with general recovery after birth, helps uterus return to its pre-pregnancy size, Restocks maternal iron stores to combat anaemia and wards of the baby blues and reduce depressions. Your blood supply carries oxygen and nutrients to your child via the umbilical cord, which is attached to the placenta. The placenta is a highly complex organ, and has varied roles to play. It serves as the interface of the maternal and foetal physiological systems. The placenta acts as your childs lungs, kidney and digestive system. It takes over hormone production around 12 weeks gestation, which will trigger labour and delivery, generate Relaxin to prepare your body for birth, and provides Oestrogen, Progesterone and Human Chorionic Gonadotropin (hCG). The placentaÂ makes life possible for your baby, and that’s why it is so amazing part. Your placenta has the ability to bring maternal and foetal blood right next to each other without getting the mixed up. Maternal blood enters the placenta full of nutrients for her baby, leaves the nutrients behind and takes away her babys waste products. On the other hand the babys blood enters the placenta with waste products and returns from the placenta with maternal nutrients. The placenta also provides stem cells to the foetus and keep infection and harmful substances safley away. Â The placenta provides energy to the baby by amalgamating glycogen, cholesterol and fatty acids, it also provides the transfer of antibodies to the newborn. Why Placenta Encapsulation so important for post-birth healing? Placenta encapsulation is important because during and after a normal vaginal delivery (including post-natal bleeding) a new mother will lose between 1/8 to 1/10 of her bodys blood supply, with caesarean section births blood loss can be significantly more. Losing a large amount of iron so quickly can cause anaemia, leaving a new mum feeling tired, faint and exhausted. The blood needs high supplies of iron to carry oxygen to the cells low supplies of oxygen leave your cells starving and less able to heal after trauma. Placenta Encapsulation benefits the new mother by supplying incredibly rich meaty iron, amino acids and essential fats which we believe is the perfect replenishment following the ordeal of birth. Stem cells and growth factors (which repair damaged cells or replacing dead cells) in the placenta play a key role in healing the wound left inside the uterus after birth by the separation of the placenta from the uterine wall. A mother will typically bleed for 3-6 weeks after birth, blood loss stemmed from this wound. Therefore your placenta pills may help replenish, restore and aid your recovery post birth to enable you to have energy and a plentiful milk supply, leaving you feeling health and possitive.